Looking for a clean, green, and simple way to add protein or nutrients to your diet? Vegan peanut butter might be the answer! Delicious in Spring Roll Bowls, stirred into Vegan Ice Cream, or simply eaten off a spoon, it’s a versatile and delicious snack. We’ve rounded up a list that includes the most natural vegan peanut butters, as well as those with extra ingredients added. Let us know what your favorites are! When it comes to CB’s Nuts, what’s not to love? The peanut butter contains only one ingredient-USA grown, organic peanuts. Compared to other natural peanut butter, this brand is quite thick-which makes it perfect blended into thick, creamy smoothies or straight out of the jar. Look out vegan peanut butter lovers-this stuff is addictive! It’s smooth, luscious and maybe best of all-does not require stirring! 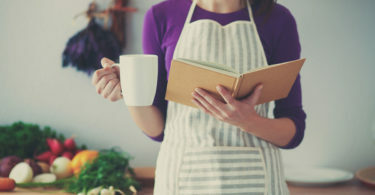 For those on the lookout for additives, this brand does add palm oil, sugar and salt to their list of ingredients, but if that’s not a problem for you, we highly recommend trying this brand! If you’re a peanut butter fanatic who needs to watch their caloric intake, this peanut butter might be for you! Simply add water to create a smooth emulsion for your sandwiches, or add a tablespoon of the powder to smoothies and shakes. It’s worth noting that this doesn’t *really* taste the same as regular peanut butter, but with about a third of the calories and much more protein than other vegan peanut butters, it might be a taste worth acquiring. Delicious stirred into oatmeal or dolloped onto a banana, YumButter really stepped up the peanut butter game with the introduction of their on-the-go snack packs. Squeezable peanut butter? We’re sold. As a bonus, try their other flavors, like the chocolate espresso peanut butter spread. If you prefer the jarred variety, just note that you’ll need to stir this peanut butter each time you use, as it’s quite runny. 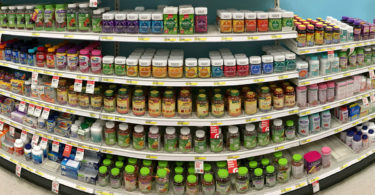 Naturally More is a great choice for those on a high protein diet-in addition to their regular peanut butter, they sell an “extra protein version” – higher in protein than most, but lower in calories. If you’re nervous about added sugar, please note that this brand does contain added cane sugar and peanut oil. Otherwise, it’s a great clean, simple way to add more protein into your diet without additional calories. Whole Foods does so many things well-and wholesome, natural peanut butter is one of them! Described as “fresh” by several reviewers, this is one of the most truly natural peanut butters on this list-there are no sodium or sugar additives, just peanuts. But if you’re in the market for a clean peanut butter to treat your pooch, this might not be the brand for you-without those added ingredients, this peanut butter is too runny to fill a doggie kong. It’s best drizzled on smoothie bowls or stirred into porridge. Similar to 365 Everyday Value, Crazy Richard’s Peanut Butter is made of 100% USA grown peanuts-but be forewarned that that pesky separation that comes with natural nut butters will be a problem with this brand. The fix is simple-just give the jar a good stir when you first open it, then store in the refrigerator until firm for a thick, spreadable consistency. Skippy’s is a household name among vegan peanut butter lovers, and for good reason. More spreadable than the purely “peanut” peanut butters, Skippy’s is great for sandwiches and baked goods-or eaten straight out of their individual serving cups with a spoon. Ingredients:roasted peanuts, sugar, palm oil, salt. Many vegans have experimented with making their own nut butters, but Kirkland’s got them beat-reviewers described this brand as better than homemade. Best of all, it’s thick enough to not require constant stirring-pick up a jar at your local Costco or in your next Amazon purchase! 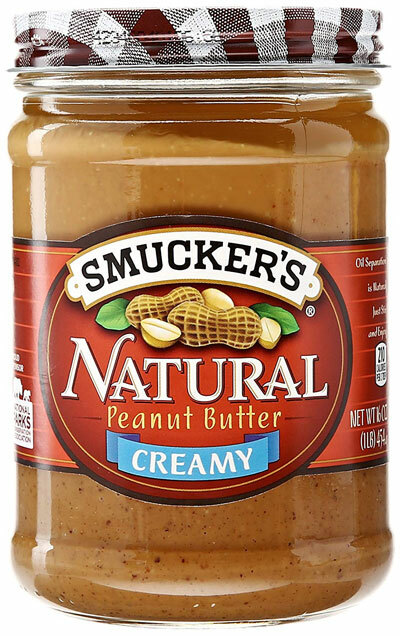 Another famed peanut butter producer, Smucker’s lovers will be happy to know that the brand they’ve known and loved contains nothing but USDA-certified organic peanuts. The one drawback? You guessed it-it will require stirring. Originating from a home bakery in California, this peanut butter is pure goodness in a jar! Spread the Love NAKED is creamy and rich, with no extra salt, oil, or sugar added. If you’re not opposed to other clean ingredients like cinnamon, agave syrup, or cayenne in your peanut butter, try their other flavors-you’re in for a treat! We recommend the cacao flavor for a slightly spicy, delicious dark chocolate snack. If peanut-only peanut butter is too bland for you, this brand might be your saving grace-it’s still clean, but has added salt for those looking for the salty punch! If you love the brand but need a quick, no stir option, and aren’t concerned about some added oil, try their no-stir creamy peanut butter-just be aware that they’ve added palm oil and salt to get that consistency. So which brand is the cleanest, greenest, simplest vegan peanut butter? 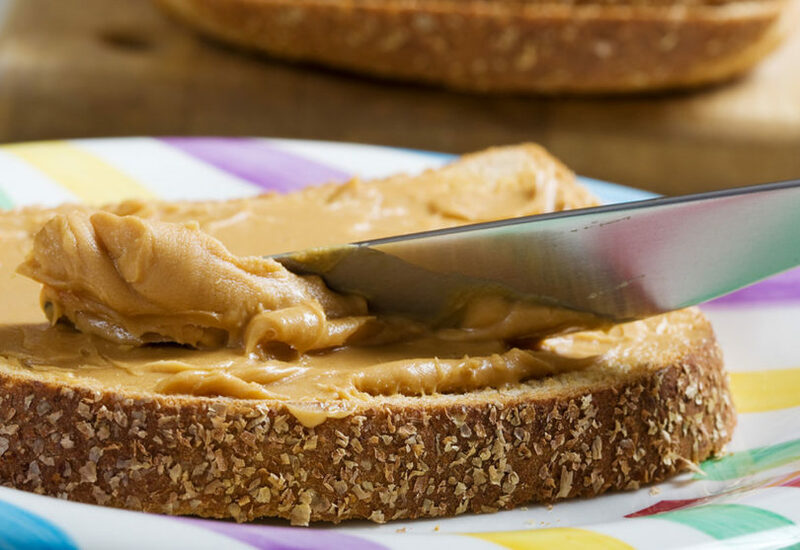 Our vote for the overall cleanest brand is Crazy Richard’s Peanut Butter Co. 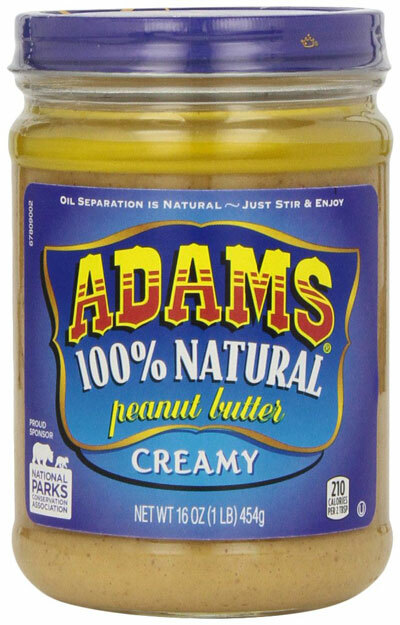 While several brands on this list were clean, one-ingredient peanut butters, Crazy Richard’s has one of the best consistencies, has a great creamy texture and satisfying taste, and is an affordable price: each jar rings in at less than $5. They also make a great powdered version (also made from just peanuts) that’s a great on-the-go or smoothie option. You’ll find it at your local Walmart or Cub Foods. Clean, green, and simple to find! How about you? What clean vegan peanut butter brands are you loving?